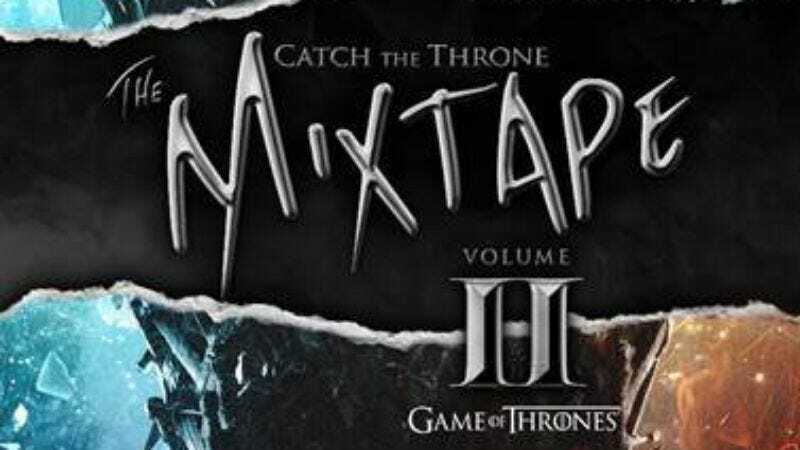 It was almost exactly one year ago that HBO released the first official Game Of Thrones mixtape, Catch The Throne, a spotty but fun collection of Westeros-derived hip hop. It seems that people were almost as happy about it as they were about a certain little blond sadist dying at his own wedding, because HBO has just revealed the artist list for a second installment, daringly titled Catch The Throne: Vol. 2. There’s a number of notable names on the list, although best tracks on the first mixtape came from the lesser-known artists as a few of the big names stumbled. (Common can handle the zing, now that he’s halfway to an EGOT.) The biggest change from last year is the addition of several metal acts, specifically Anthrax, Killswitch Engage, and Mastodon. (Really, they could have made an additional, all-metal mixtape, labelled it All False Metal Must Die, and called it a day.) Electronic artists like MNDR are also riding this particular dragon. The complete list of artists is below, and if you’d like to hear Talib Kweli’s “Lord Of The Light”—the first single from the mixtape—you can stream it here. Catch The Throne: Vol. 2 will be released free on charge via Soundcloud on March 17.